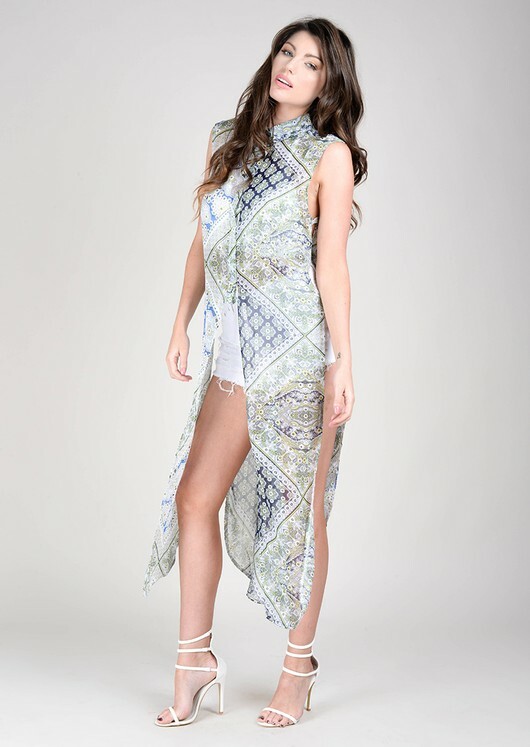 Our extreme side split maxi shirt is sure to make heads turn this festival season! Button up or keep open? You decide!